In Part One of our SME Success event series, we covered why going digital is important for small businesses. 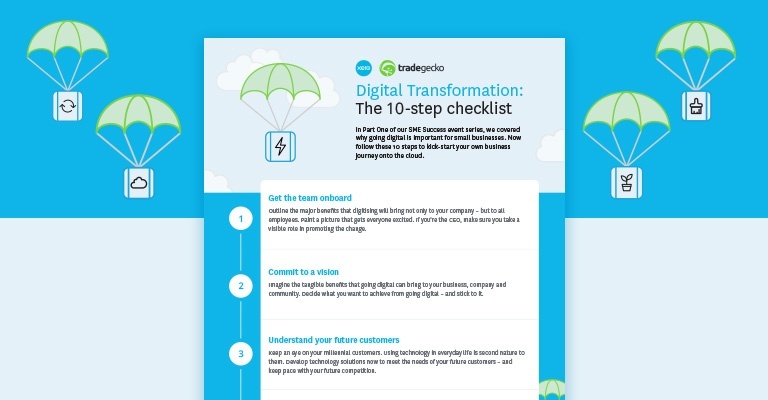 Download this Digital Transformation Checklist for 10 steps to kick-start your own business journey onto the cloud. Co-hosted by TradeGecko and Xero, the SME Success event series is designed to help Singapore SMEs get the most out of working in the cloud. The events will tackle the basics such as simple online tools and techniques to get you started, and will cover everything small businesses need to know to get your business digital over the course of the series.